How organized are your merchandising labels? Could use a better system. 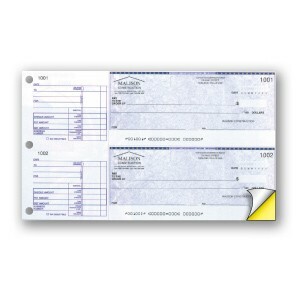 These Cheques are printed in 1 Background Colour and Black Type. The Standard Background- General Expense Cheque has a minimum order is 400. Please fill in the below information to complete your order. If you have any questions or concerns regarding this process please contact one of our Client Care experts at 1-877-772-1754. The Most Efficient Way to complete this is to upload an image of your Current VOID Cheque. If this isn't possible please fill out all fields below. Maximum image width: 400 px. Maximum image height: 400 px. A1 Prime Graphic Copyright (c)2012 A1 Package Co.
copy; 2012 A1 Package Co. - www. A1PKG.com. All Rights Reserved.